I recently realized that in all the six years that Sushi Day has been around, I’ve never once done a single Halloween post. Obviously, that needed to change. 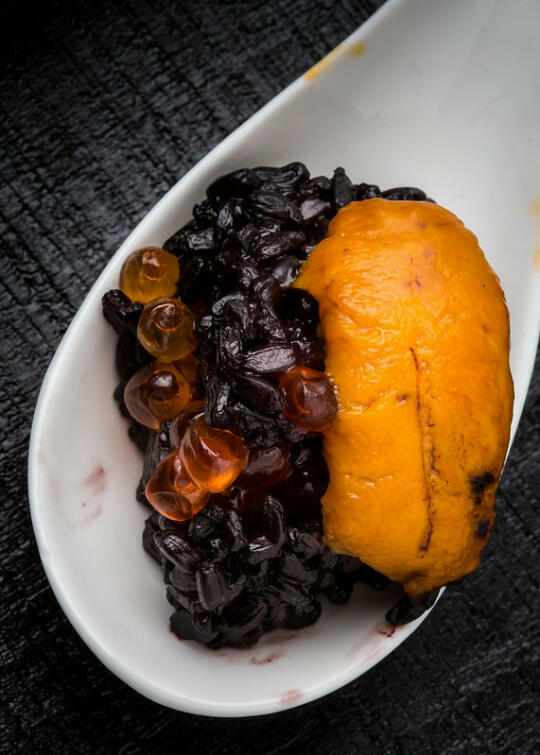 I wanted to do something with black and orange fillings, so first I had to find myself some black rice. All I could find at the grocery store was wild rice (which likely wouldn’t work too well for sushi), so I ordered a bag of Chinese black rice from Amazon. 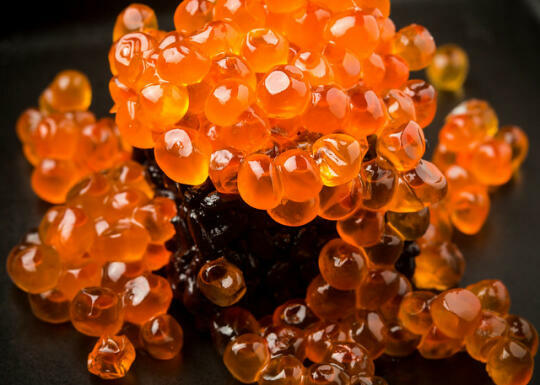 Not only do I love uni and ikura, but they’re also perfect for Halloween – both orange-colored, uni can pass for a slug or a tongue, and ikura kind of looks like eyeballs. Combine that with the black rice (which in the right light, looks just like a mass of little black bugs!) and you’ve got some perfectly creepy Halloween sushi. I love playing around with the Rice Cube I got earlier this year (Disclaimer: the Rice Cube was a gift, and all Amazon links in this post are affiliate links), plus it’s SO easy to make sushi cubes with it, so I decided to use that to play around for this year’s Halloween sushi. Check out our Halloween tag on Fridgg for more fun and spooky Halloween treats! Top your cube or ball of rice with one lobe of uni (or two if they’re small) or a small scoop of ikura. Sprinkle with a little paprika and black sesame seeds, if desired. 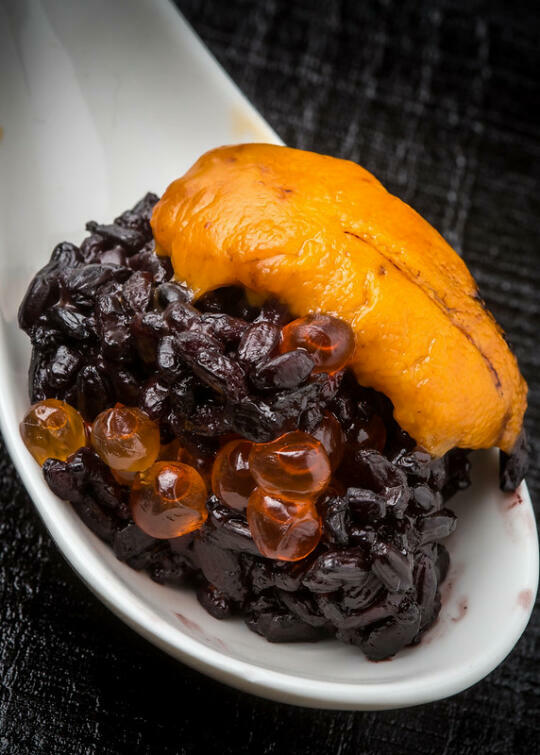 Try adding just a few black rice grains (like 10-12) per rice-cooker-cup of white rice prior to cooking. It turns the entire amount of rice a lovely corpse-like purple. Try the same thing using black beluga lentils instead of black rice–it gives you gravestone-grey rice. Use about 1 part lentils to 3 parts white rice. 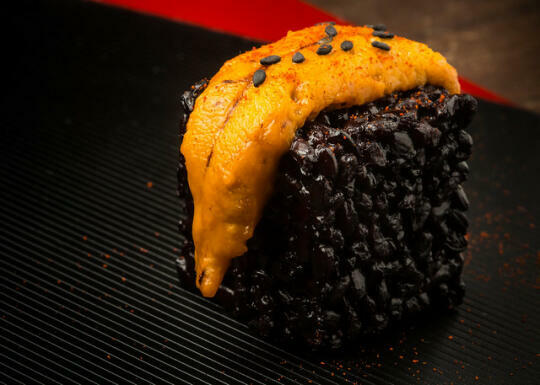 How did you miss the opportunity to use squid ink to make the rice black? It’d probably match really well flavor wise with the uni! Beautiful shots, love the contrast of the black/brown and the orange. I just found out about this blog. And it’s just amazing, those recipes. Lately, I took an interest in Japanese food and I think this is incredible! Keep going!